The re-modelling will be the first major work since The Garth School opened its doors almost 50 years ago. The work is scheduled to start in the spring. 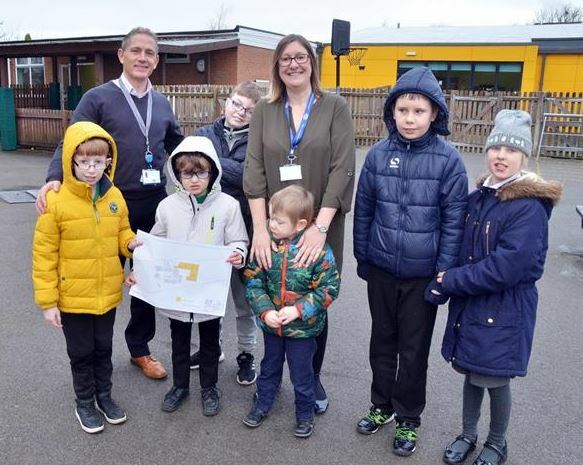 Daran Bland, Executive Head of The Spalding Special Schools Federation (which incorporates The Garth and The Priory Schools), said: “Upon completion of the building works, the two schools will amalgamate to form one school, operating over the two existing sites. “These developments and improvements will enable the school to meet ‘all needs’ for pupils aged between 2 and 19. The Garth School, Ofsted Outstanding in all six categories measured, caters for around 56 pupils. “The Priory School plans are not quite so advanced yet as this will form Phase 2 of the project, but initial designs include several new classroom spaces to replace some existing rooms that will be demolished as they are not ideal teaching and learning spaces. “Re-modelling of the existing building is also planned to ensure the very best use is made of the space. Next: Next post: PTA Raise over £50,000! !